How to Make Yellow Dark? Do you remember that first yellow flower you tried to paint? Perhaps it was a sunflower or a rose or a day lily. Most likely it was difficult to do and you found yourself scratching your head trying to figure out how to paint a lovely yellow flower. I certainly did. My first attempt was not successful and I was baffled. I didn’t know how to create the shadow sides of the petals to create dimension and depth in the flower without creating a muddy mess. After continuing to learn more about painting and values, I discovered that yellow can NOT become a dark color. 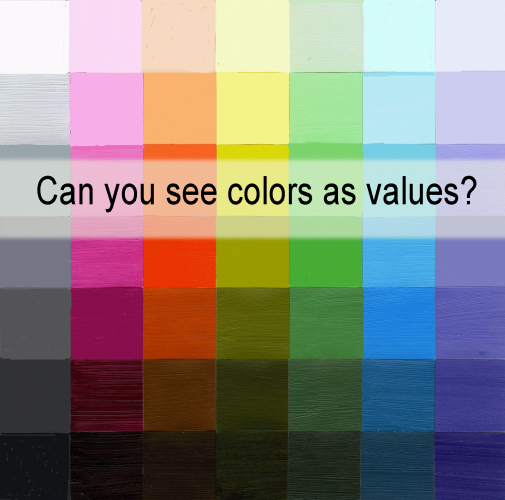 In other words, it doesn’t maintain its hue integrity much beyond a value 3 (using a value scale of 0 – 10, with 0 being white and 10 being black). The commercial value scale above is more elaborate using 0 – 13 steps, yet it demonstrates what I am referring to. Take a moment and compare yellow with the other major hues. Notice how quickly its yummy hue starts turning brown. Also notice the orange is next in having a short value range. 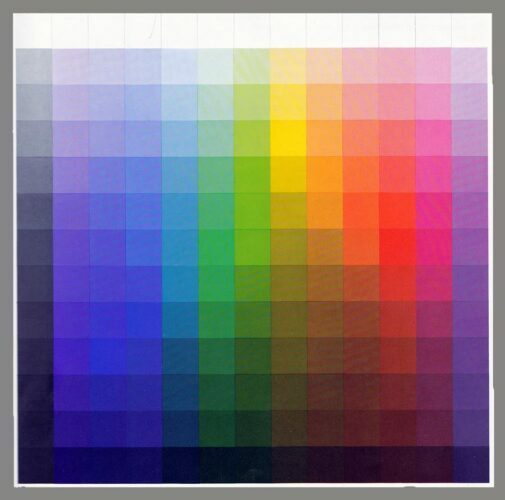 Being the Chart Queen that I am, I would like you to encourage you to create a color value scale. It’s an excellent exercise in learning about how to paint evenly stepped values as well as a way to more fully understand what your hues do as they become darker or lighter. I recommend you create yours using a 5 or 7-step value scale. In this example, I painted chips of color, cut them out and created my chart. I have painted these value scales in watercolor, acrylic and oil as well. Back to the original question about yellow. 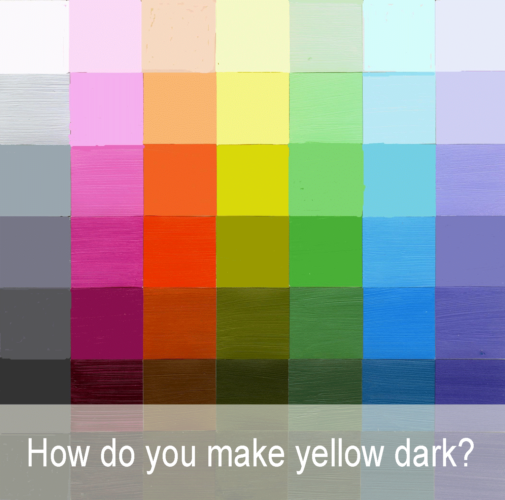 How Do You Make Yellow Dark? Given the information above, the answer is that you can’t. However, you can convey the essence of a darker yellow. There are three choices: mixing an orange, a brown or a green. In my painting “Glorious Day,” I used greens and oranges. Since orange is a warmer color than green, I chose to use various oranges in the front three petals and green for the darker areas in the back three petals. Warmer colors come forward on a two-dimensional surface. 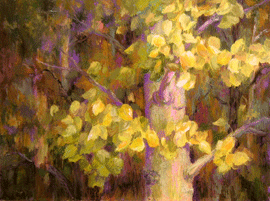 And in “Aspen Dance,” I mixed various greens for the aspen leaves that are in shadow. 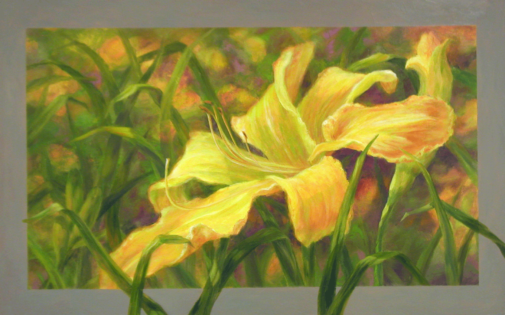 To learn more about how the paint sunshine with yellow, visit my recent blog post, How to Paint Sunshine. Your decision to use orange, brown or green to ‘darken’ your yellows, is dependent on your subject matter and the message you want to convey with your work. My examples show you what I did with flowers and tree leaves, whereas for a yellow house/structure you may choose various rich browns. Experiment and let me know in the comment box below. I hope this tip has been helpful. 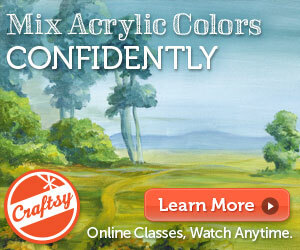 If you found this information of interest to other painters, please share it. How to Paint Sunshine? What is the Key? Most painters are drawn to the light, whether it is created by Mother Nature or interior light. It’s ethereal and a challenge to capture in paint. The problem we have to solve is trying to create this sensation while using human-made products. And, in essence, we are trying to paint air with solid materials. 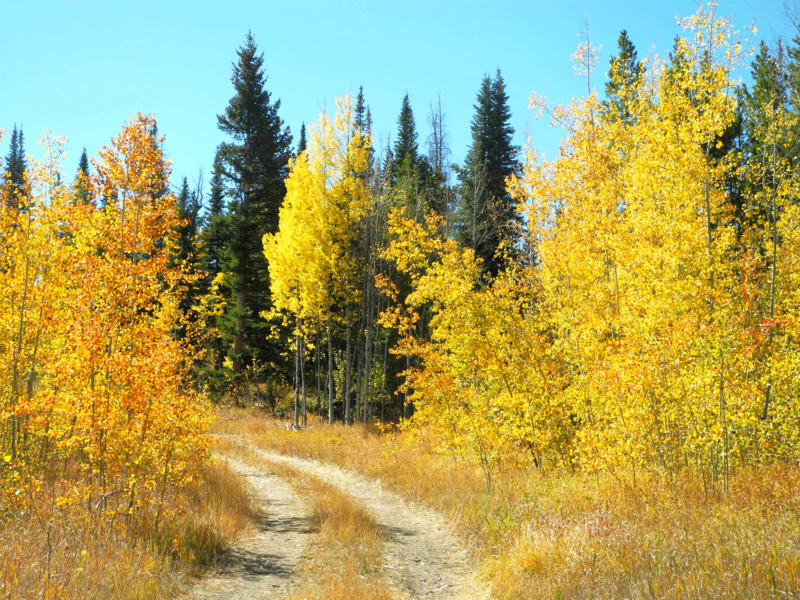 Recently, I spent a week in the Colorado Rockies basking in the sun and in awe of its magic while gazing upon the changing aspen leaves. 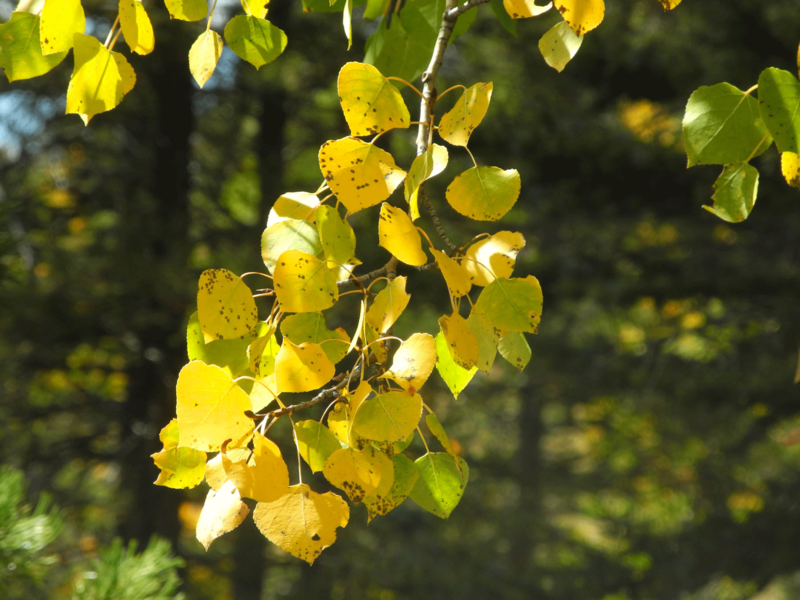 It’s truly glorious to hike, sit or stand while marveling the yellow light created when the sun bounces off of those golden aspen leaves. It’s captivating especially when there is a light breeze. Notice in the white on the leaves in the photo on the right. During this same week, I happened upon a week long plein air event that included over 30 artists painting in the area. 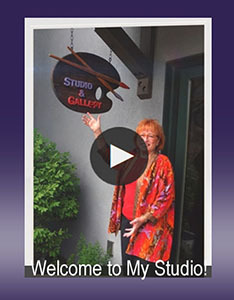 This culminated in a show at the Steamboat Museum of Art in Steamboat Springs, CO. This was my first time attending such an event and it was exciting and fascinating to peruse over 100 paintings. Much to my dismay, I was surprised to see that few paintings adequately, in my humble opinion, and effectively displayed how to paint sunshine. 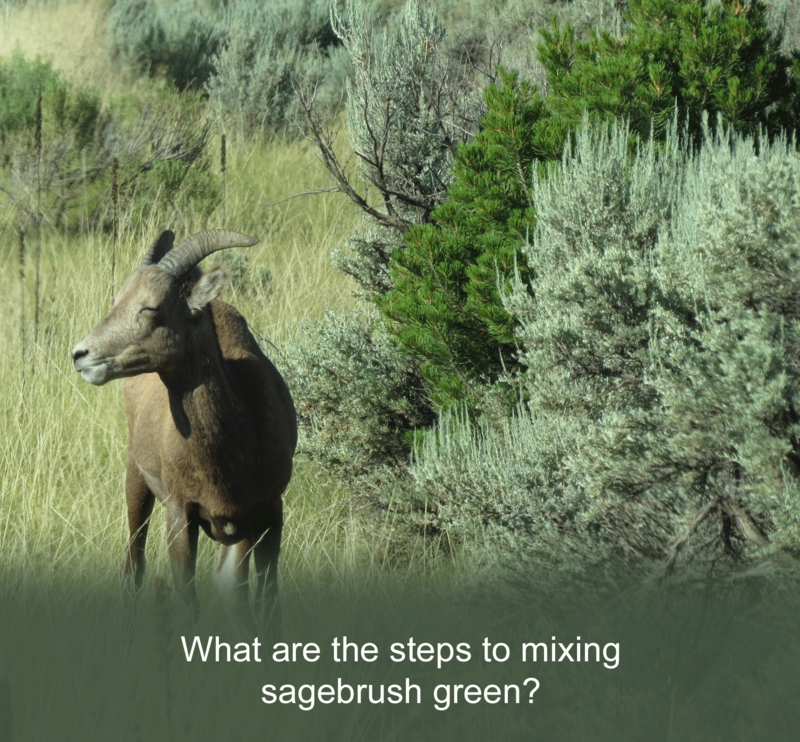 The 4 Steps to Mixing Sage Green of the Southwest?